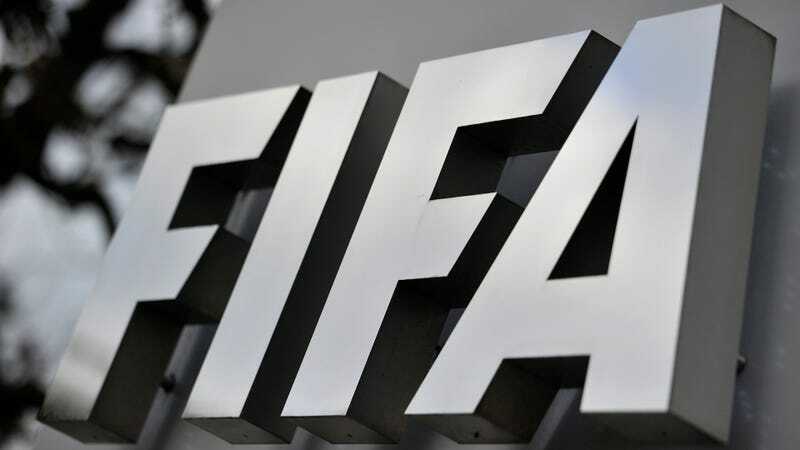 Nearly three years after it was completed, FIFA has at long last released in full the internal report on alleged corruption relating to the bids for the 2018 and 2022 World Cups that it had previously been so determined to keep secret. This didn’t happen from any change of heart on FIFA’s part, naturally; it’s only out now because German paper Bild recently acquired the leaked document and started releasing unflattering parts. Yesterday, Bild announced that they had gotten ahold of the entire 430-page report compiled by former U.S. Attorney Michael J. Garcia. Garcia had been hired by FIFA’s ethics committee as an independent investigator tasked with looking into any shady dealings with regards to the last two World Cup bidding processes. After 18 months of research, Garcia returned in 2014 with a 430-page document that he wished to see released to the public in full. FIFA read this report of what even then was suspected to be some strongly questionable behavior and determined nothing all that untoward had actually happened and so Russia’s and Qatar’s respective World Cup-winning bids would be upheld. Rather than release the report in full, though, FIFA put out a sanitized 42-page summary of Garcia’s findings—this report of his report Garcia slammed, calling it “incomplete and erroneous.” Garcia strenuously and publicly disagreed with FIFA’s decision to keep his report secret, even going so far as to resign from his position in protest, but FIFA remained unswayed. The new chairpersons of the independent Ethics Committee, Maria Claudia Rojas of the investigatory chamber and Vassilios Skouris of the adjudicatory chamber, have decided to publish the Report on the Inquiry into the 2018/2022 FIFA World Cup Bidding Process (the so-called “Garcia Report”). This had been called for on numerous occasions by FIFA President Gianni Infantino in the past and also supported by the FIFA Council since its meeting in Mexico City in May 2016. Despite these regular requests, it is worth noting that the former chairpersons of the Ethics Committee, Cornel Borbély and Hans-Joachim Eckert, had always refused to publish it. The Ethics Committee will meet in its full composition under the new chairpersons for the first time next week, and it was already planned to use this opportunity to discuss the publication of the report. However, as the document has been illegally leaked to a German newspaper, the new chairpersons have requested the immediate publication of the full report (including the reports on the Russian and US bid teams, which were conducted by Mr Borbély alone) in order to avoid the dissemination of any misleading information. This statement clearly attempts to draw a distinction between the Bad Old People who used to head the ethics committee and were against releasing the Garcia report and the Good New People who are in charge now and purportedly always supported releasing the full thing. It’s worth noting that the only thing I could find about new FIFA president Gianni Infantino’s alleged support of releasing the Garcia report is an article that says Infantino never actually came out and said he supported releasing the report during his presidential campaign. Nevertheless, we’re very confident that FIFA is going to be much better and less corrupt now with the Good New People running things. Below is the Garcia report itself, separated into three different chunks: the overall report, which addresses the bulk of the 2018 and 2022 World Cup bids, and the two smaller, more specified ones that deal with Russia’s and the U.S.’s bids specifically. We’ll have more on this as we comb through it, and if you see anything interesting, please flag it in the comments or via email.